The CMYK process is a method which is used in the printing industry. Most printed material which is produced throughout the world makes use of the CMYK process. CMYK stands for ‘Cyan, Magenta, Yellow and Key Black’. This refers to the 4 colours which are used in this particular type of printing process. In many printing processes, the ink is applied in this order. By using different amounts of each colour, many different colours can be produced from just 4 core colours. A company called Pantone is the leading provider of colour charts and guides which are used as a reference guide to ensure a standard of uniformity in industries such as the printing industry. Obviously, from the 4 CMYK colours, it is not possible to create every possible colour imaginable. However, Pantone has recognized that there is a special subset of its colours which can be created through the CMYK process. 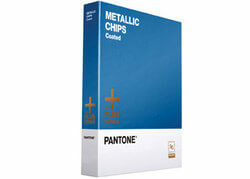 Most Pantone guides contain a note of the CMYK colours. This is a broad range although, because of the level of detail with which Pantone works, the majority of its shades do not fall within this subset. It is clearly important in industrial printing that different printers and manufacturers are able to ensure uniformity. This means that, for example, different arms of the same printing press factory are able to produce identical products despite the fact that they are not in close proximity with one another.